It’s been a strange summer. Ed McMahon, Farrah Fawcett, Karl Malden, and Walter Cronkite all succumbed to long, terminal illnesses. Meanwhile, Michael Jackson and Billy Mays both died unexpectedly. Today, another great was lost unexpectedly. 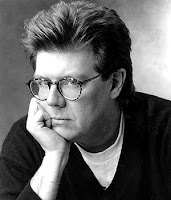 John Hughes, the renowned director of such 80s classics as “Ferris Bueller’s Day Off,” “The Breakfast Club,” “Weird Science,” and “Sixteen Candles,” died today of a heart attack. He was 59. Nearly every major comedy director today looking to make a high school film will tell you that they’re inspiration is John Hughes. Others might tell you otherwise, but what they’re really trying to do is recreate what John Hughes did to comedy in the 1980s. I’m sad to say I’ve only seen two Hughes films; both however, are nothing short of classics. I first watched “Ferris Bueller” in fifth grade. Ferris was always someone I wish I could be. With that movie, Hughes managed to obtain great screwball comedy as well as one of the greatest lines in movie history: “Life moves pretty fast. If you don’t stop and look around once in a while, you could miss it.” Years later, and that’s still the one quote most people are putting into their senior high school yearbooks. I watched “The Breakfast Club” in health class. Yes, “The Breakfast Club” captures high school so well that even teachers seem to think it’s good enough to be shown in school. 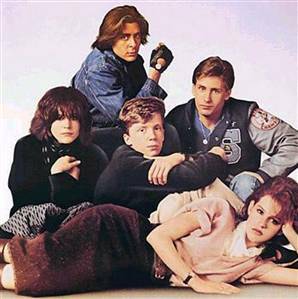 Hughes did a mastery job with “The Breakfast Club” by making it a film that doesn’t focus on one clique, but rather on all of them. And in that, Hughes captured what it meant to be a teenager. Hughes was known as being rather reclusive; he hadn’t directed a movie since 1991. He was almost like the J.D. Salinger of directors, rarely doing interviews or even showing his face in public. But he didn’t have to, the movies spoke for themselves. They speak as the ultimate testament to teen angst. The song at the finale of “The Breakfast Club” might be called “Don’t You Forget About Me.” John, we won’t be forgetting about you anytime soon. This entry was posted in 1980s, Comedy, Ferris Bueller, High School, John Hughes, Obituary, Sixteen Candles, The Breakfast Club, Weird Science on August 6, 2009 by ian0592.